A high water content and soft material make Soflens 59 Comfort contact lenses one of the most comfortable and popular monthly disposables available. Thin but durable, these high performance lenses supply superior clarity of vision and feel so natural you'll forget about them until bedtime. Bausch & Lomb are one of the world's leading optical brands and produce contact lenses that provide sharp vision whilst keeping eyes clear, bright and healthy. Soflens 59 monthly disposables are made from a polymer material that's particularly effective when it comes to resisting deposit build-up. Called Hilafilcon B, this material helps to protect the lens and eye from dirt, dust, pollen and protein deposits which can cause blurriness and dryness. Objects stay equally sharp and focussed all day. 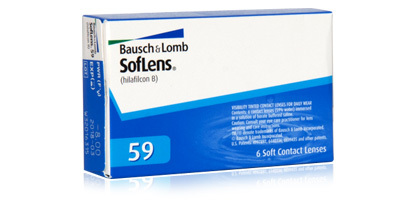 Bausch & Lomb Soflens 59 lenses have a high water content, which means better breathability. A high water content allows more oxygen to pass through the lens. Eyes need to stay oxygenated constantly to guarantee optimum eye health and vision quality. These monthly disposable lenses literally allow eyes to breathe more efficiently. 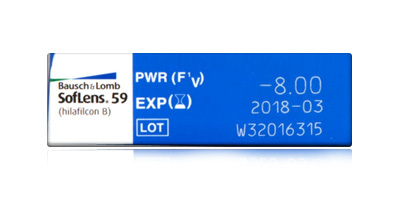 A visible blue tint and inside-out indicator makes the lenses easy to see, handle, apply and remove. 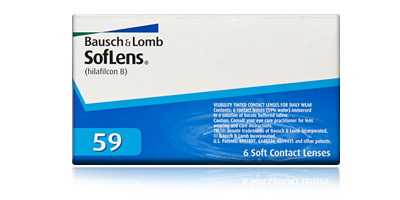 Soflens 59 contact lenses are suitable for wearers in their 20s and 30s. Six lenses are included in each box, giving great value for money. Use freephone number 0800 037 4000 to contact us with any queries about our contact lenses, order process or delivery options. 98% of Contact Lenses Express orders are shipped on the same day. 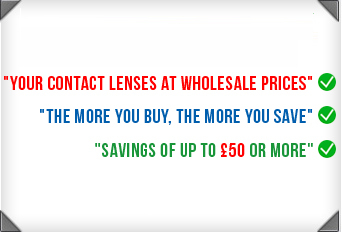 If you need your lenses urgently we also offer next day shipping (if your lenses are in stock). Got my contacts the following day, and when i asked a question, got an answer within few hours - really like the service! well done! Everything was great. Continue having competitive prices!